July 1, RBHS principal Dr. Jennifer Rukstad plans to begin her position as assistant superintendent for Columbia Public Schools (CPS). Dr. Rukstad announced her departure from RBHS to faculty in a short, emotional meeting after school today. Dr. Rukstad’s time at CPS spans over 20 years and five different positions, according to a district-wide email from Community Relations Director Michelle Baumstark. From serving as a teacher to the athletic director, Dr. Rukstad spent the entirety of her career moving up the ranks. As assistant secondary superintendent, Dr. Rukstad will manage over 11 schools including RBHS. Throughout her time at RBHS, Dr. Rukstad worked with secretary Denise McGonigle. McGonigle says she developed a very good friendship with Dr. Rukstad throughout the years. Dr. Rukstad left a lasting impact on not only the people she closely worked with but across RBHS’ 112-member staff. Civics and pop culture teacher Scott Wittenborn praised her leadership ability as one of her most outstanding qualities. Her non-authoritative management of RBHS gained the appreciation of students like Kiren MacLeod. He said he is impressed by her management of the school and its students. Next week marks the beginning of the search for Dr. Rukstad’s replacement. 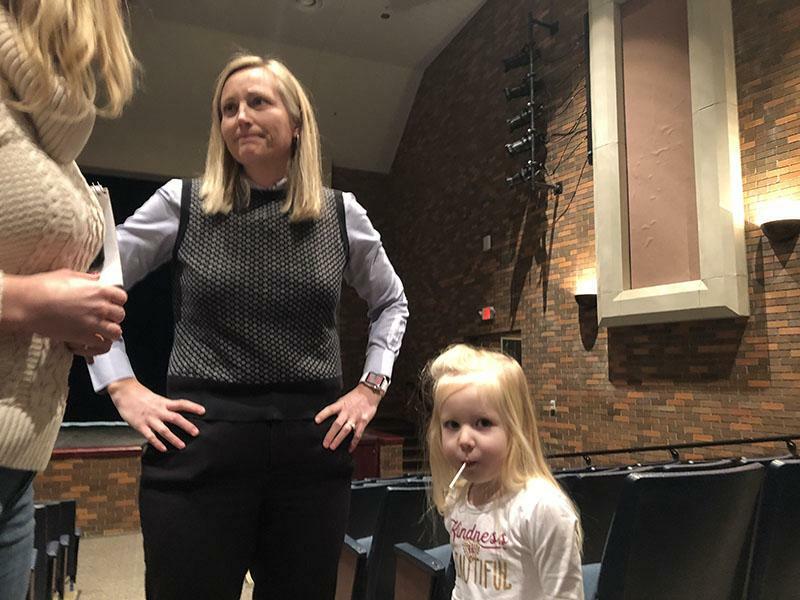 Though Dr. Rukstad starts her job as assistant superintendent just over one month after the school year ends, RBHS has yet to choose a new principal. McGonigle said Dr. Rukstad will be involved in selecting someone to pick the new position. Dr. Rukstad holds Columbia and RBHS in high esteem. As a RBHS graduate, she said she finds comfort in her former high school. What are you going to miss most about Dr. Rukstad? Comment below! Saly is a sophomore, staff writer and editor for The Rock. She enjoys music, movies and reading in her free time. Very interesting story. I hope the new principal next year will not change Rock Bridge too much. Since next year is my last year at Rock Bridge, I hope to experience the same as what past seniors have been able to experience with Dr. Rukstad. Dr. Rukstad has been the principal for almost my entire time in high school, it will be sad to see her go next year. She’s done an amazing job and I hope the new principal makes just as amazing as an impact as she has! I’m curious to see who the new principal will be and how they will affect RB. Will stay tuned for more!